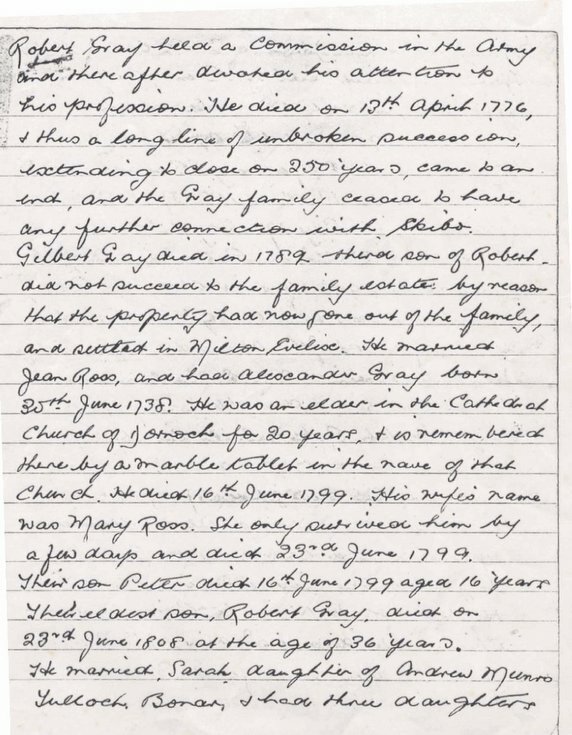 Photocopy of notes on Gray genealogy from Robert Gray d.1776 to the 1920s. 2 loose sheets, apparently incomplete as one does not seem to follow from the other. How can I see the second page?